There are 3 posts in this thread, and it has been viewed 3164 times. 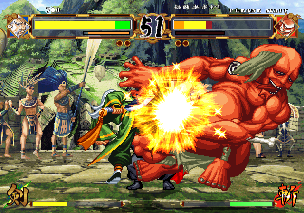 Samurai Shodown VI. What do you think about it? It's been quite a while since the last GOTM, so let's celebrate the return of our monthly featured game with another Atomiswave title! Next to Metal Slug and The King of Fighters SNK Playmore also took their third most successful franchise to Sega's/Sammy's arcade platform in 2005. One year later Samurai Shodown 6 was ported to the PS2 exclusively in Japan, but it took another two years until it finally reached the west as part of the Samurai Shodown Anthology. 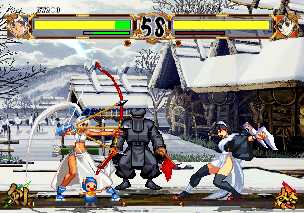 Most notable are the four brand-new characters. With apron-wearing Iroha even the popular Japanese maid fetish made it into the series! 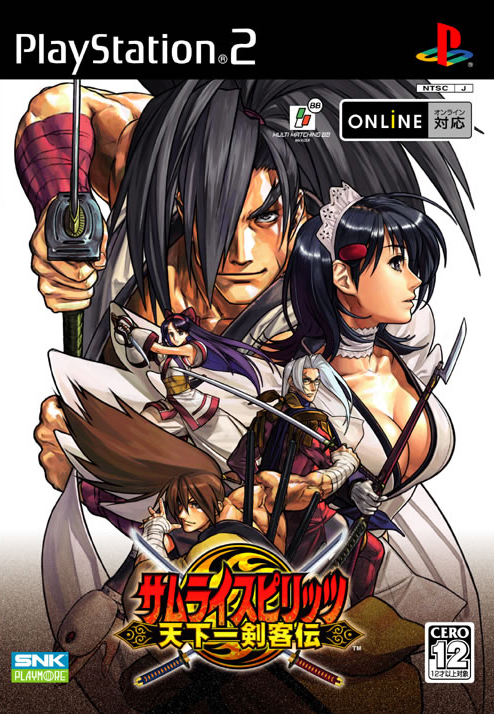 Samurai Shodown VI (also known as Samurai Spirits: Tenka in Japan) is the tenth iteration in the Samurai Shodown series of fighting games. This game features all characters from the 2D games and is a dream match installment. 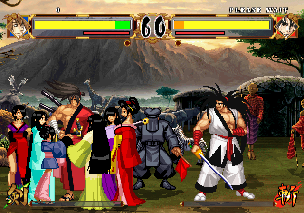 The game features new backgrounds with 2D and 3D elements, as well as a returning cast of all 28 characters from Samurai Shodown V Special, as well as all 7 characters from Samurai Shodown and Samurai Shodown II that didn't appear in later games, and 4 new characters. 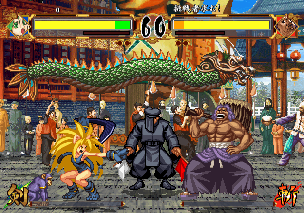 It also features a "spirit select" system, which allows players to choose between six different fighting styles based on all previous installments. You own the SS Anothology or the Atomiswave version? You up for High Score Challenge? 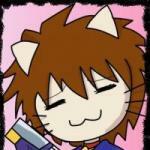 Then immediately contact Merlin or Priest to organize one! Yay, its a return to from, even though it was lots of months wasted, lol. Either way, SamSho 6 is a breath of fresh air, and its nice to have everyone so far, and some new faces. The only thing that looks off-putting is that it doesn't have the similar "engine" when it was on the Neo-Geo from the last game when it felt more "fluid" (yeah, I know, car puns, lol.). It just feels like it was made in M.U.G.E.N engine or something, lol. But I guess that's how it is, given the Atomiswave's capabilities. Either way, its a solid fighter, but the only thing that's lacking and part of the series mainstay is the blood/fatalites. (Fatal's weren't in SS5 either, but blood was in, lol. SSV Special retained them both.) I mean, its not much of a negative, but considering the game takes place in a "festival" time/event, yeah, lol. I have played a little of 6, and it does feel like an unbalanced mishmash. On top of this, I can't enjoy this game at all with a Remote, so I'm going to get a PS2 to Wii adaptor before giving my final verdict. I believe 5 S and 6 are uncanonical and, as Stray had alluded, are dream match versions that place little emphasis on the timeline of the series. As already stated, the huge roster has me worried there is no emphasis on a finely balanced fighting system among all or even most of the characters; the gameplay also appears to be muddled.